After last year's big PlayStation Network hack a lot of hacking groups such as Anonymous and LulzSec were intensely publicized. Back in June, a massive hack was conducted on the Sony Pictures Website. The attack led to the theft of details on over 1 million accounts and was linked to the hacker group Lulzsec. At the time, the hacker group claimed to have used a “very simple SQL injection” attack. Samples of the compromised data were later posted online. Purported LulzSec member Raynaldo Rivera, 20, was charged in August with impairing a protected computer and conspiracy charges. In admitting his guilt, he joins Cody Kretsinger, who also pleaded guilty for the Sony Pictures hijack. Kretsinger is scheduled to be sentenced on 25th October. "Rivera used the HideMyAss anonymising proxy service in an attempt to disguise his IP address while he carried out reconnaissance work, probing Sony Pictures' website for security vulnerabilities. HideMyAss turned over his IP address after the authorities issued a court order, ultimately exposing Rivera's identity." John Leyden explained in Theregister. Investigations were made in both the U.S. and Europe. 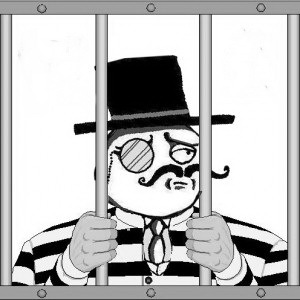 Although not all culprits were caught, two ex-members of hacker group LulzSec admitted they are guilty in this case. Cody Kretsinger got a plea bargain with prosecutors in April this year. The information that the hacker stole resulted in over $605,000 in financial losses. Part of the plea agreement will see Riviera paying restitution to the victims of the crime and facing prison time. The hacker is facing a maximum of five years in prison, and the fine will be at least $250,000.